Novice: $8.00 per person per event. Singles $15.00 per person per event. Doubles $7.00 per person per event. Teams $18.00 per person per event. 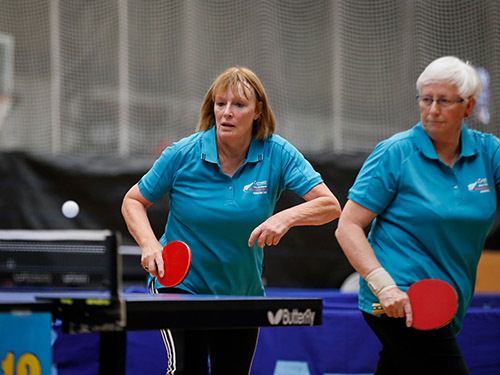 Events: Singles & Doubles 35+, 45+, 55+, 65+, 70+. Teams. 35+, 45+, 55+. Grades: Open, Social (35+ only), Novice (25+ only). Players do not need to be affiliated to a club. All Team events may be mixed or all men/women. All play is under NZTTA rules, except for affiliation. 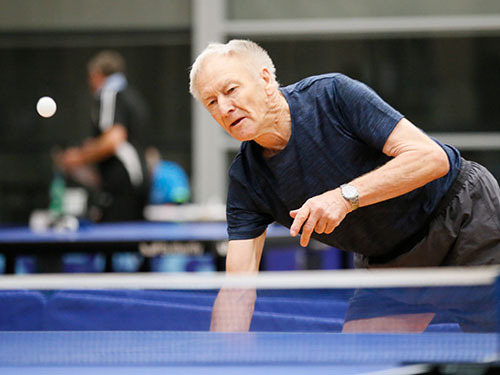 Social grade players can only enter Open grades in 55+ or above and all Open Team events if of qualifying age. Novice Rules: You cannot also enter other grades in this sport. You must be entered in another NZMG sport to qualify for the Novice grade. Novice grade events are certificate events only. The sport is open to finding you a partner if you don’t have one, just enter ‘required’ in the Partners Name field when prompted during the entry process. Entries close: Fri 1 February 2019. (Novice closes 5.00pm day before the event).